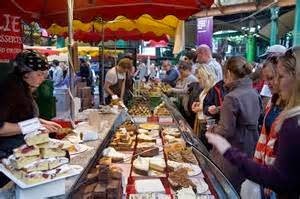 If you are a real food lover then next time you visit London, be sure not to miss the capitals' Borough Market for a food experience that is second to none. 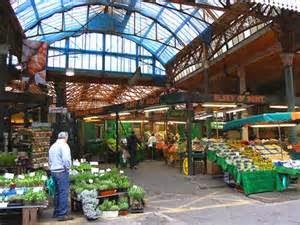 Borough Market is London’s most renowned food market; a source of exceptional British and international produce. It is a haven for anybody who cares about the quality and provenance of the food they eat - chefs, restaurateurs, passionate amateur cooks and people who just happen to love eating and drinking. But it’s not just the sheer quality of the food on offer that makes Borough Market special – it is also about the people and the place. 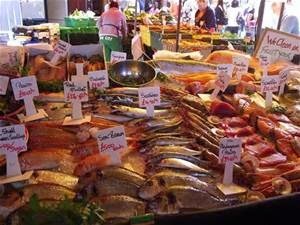 The market is populated by a community of remarkable individuals from all over the UK, Europe and the rest of the world, all of whom care deeply about the food and drink on offer. Many of our stallholders are themselves producers – people who grow, rear or bake the food that they sell. Others are importers with intimate knowledge of whichever corner of the globe they source their products from. As a result, the market has become a vast repository of culinary knowledge and understanding. It’s a place to explore, to ask questions, to discover new flavours and to savour a unique atmosphere. Borough Market is easily accessed by public transport. Seconds walk from a major train station, on countless bus routes and even provide bike racks for keen cyclists. If you’re travelling to the Market using public transport, Transport for London’s Journey Planner, is a useful tool. The Market address is: 8 Southwark Street, London, SE1 1TL and is located next to London Bridge station which is serviced by the Jubilee and Northern Lines on the underground and by overground trains from all over London and the south of England. To find the market, simply exit the station following the exit signs for Borough High Street. If you’re travelling by bus, stops at London Bridge, Borough High Street or Southwark Street will leave you right by the Market. If you’re using a Barclays cycle hire bike, the nearest docking stations are located on Southwark Street and Park Street. It is also easily reached by foot or along the Thames Path on the Southbank or over London Bridge from the City. Travelling by car - there are parking spaces available in Jubilee Place for customers unable to use other forms of transport or wishing to make large purchases. Charges are £4 for a maximum stay of 2 hours. Jubilee Place now also provides electric car charging bays. 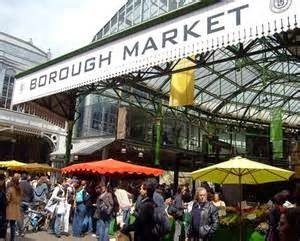 Borough Market's opening hours are 10.00am to 5.00pm from Wednesday to Saturday. Don't miss it on your next visit to London!